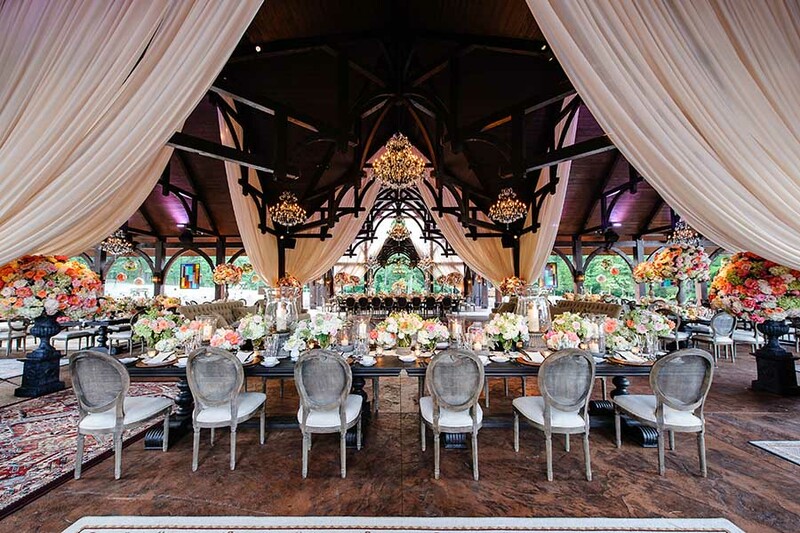 As a pristine location for your wedding, The Venues provide a magnificent setting that offers guest a one-of-a-kind experience as they enjoy wonderful amenities along with experiencing the success and accomplishments of Dale Earnhardt, 7-time NASCAR champion. The breathtaking landscape of the Earnhardt Estate expands over numerous acres. With rolling hills, a pristine lake, and wooded backdrop “The Estate” is a perfect setting for your next private event. Choose from a rustic but elegant pavilion overlooking a lake, a log and stone lodge, the intimate Trophy Room, and more.